Extra Strength. 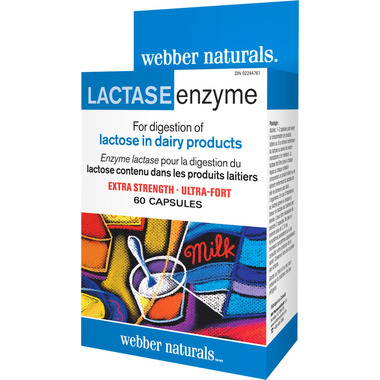 Relief and proper digestion can be regained with lactase enzyme supplementation. Lactase Enzyme allows people with lactase deficiency to eat or drink dairy foods without experiencing the symptoms of lactose intolerance. I an super lactose intolerant and one of these can handle a meal with small amounts of lactose, a couple and I can even have a small amount of ice cream. Other brands I would need to eat 4-6 pills and there would still be some lingering discomfort. Good value. Works well. Sometimes I need to double up. I have a supply in every purse. I have to buy it online because the drugstores don't carry it. Love the packaging - way easier than carrying around a bottle. Works just as well as other lactose products. If you need help digesting lactose, you need this. It works at least as well as the other stuff I have tried. So much better than the other products out there, and much more convenient to fit in your purse! I can split up the blister packs so that I have some at home, at work and on the go. I never have to worry about forgetting to bring them with me! Works great, in a very convenient packaging. I don't carry a bulky bottle anymore!